Oscar winning actress, Gwyneth Paltrow’s new Tribeca loft is softly inspiring. 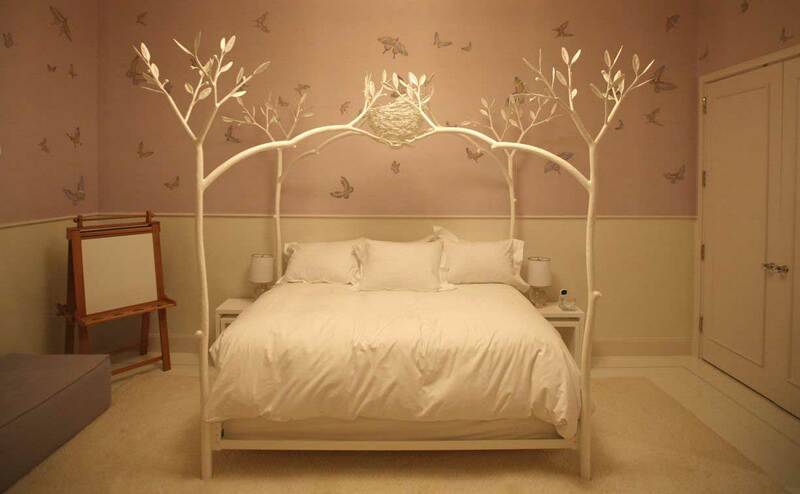 Filled with marble and chic design, it is romantic, yet has a sense of not being too “pretty”, comfortable to both sexes. Her fab kitchen was featured in the August issue of Vogue this past summer, where she shared her cooking stories and promoted her new cook book, due out in the spring. This lush apartment was designed by Roman and Williams. Here we have more photos from Curbed.com and TheHappyHomeBlog. 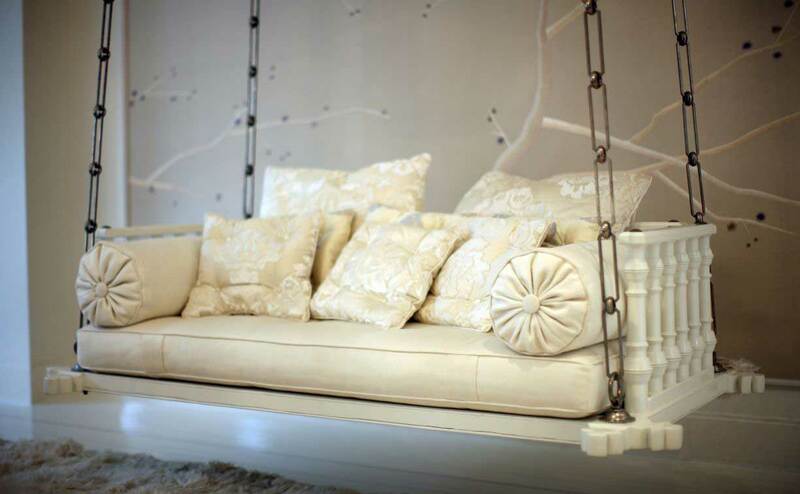 The living room swing couch…gorgeous! 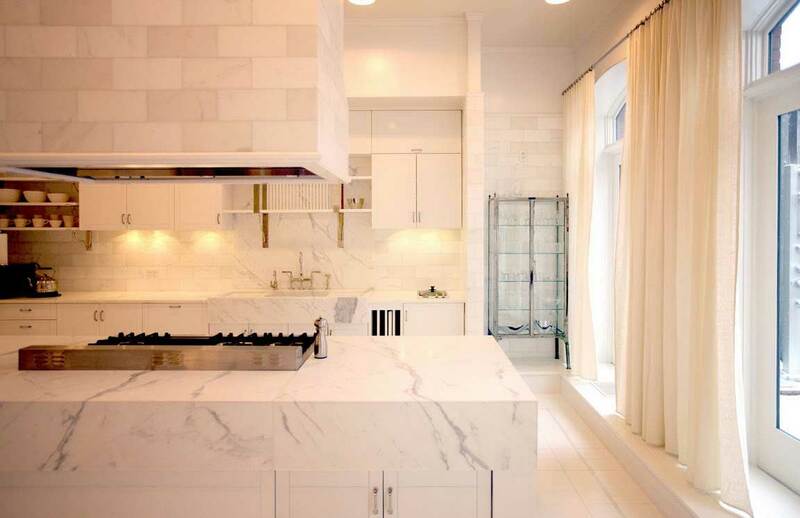 The kitchen….love the marble, the soft curtain panels over french windows. Gwyneth Paltrow, Vogue magazine, August 2010 issue. Photo: Mario Testino. This entry was posted in Celebrity Homes and tagged actresses, apartments, decor, Gwyneth Paltrow, interior design, interiors, lofts, Manhattan, movies, New York. Bookmark the permalink. Beautiful house! I want that kitchen! !